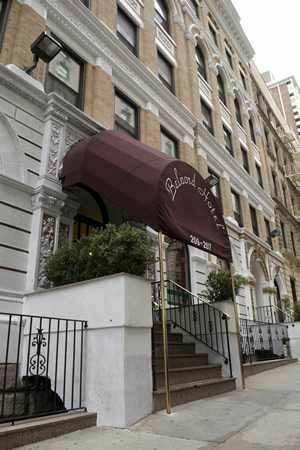 The Belnord on the Upper West Side of Manhattan in New York City offers 119 budget lodging accommodations in two five-story buildings. Lodging accommodations in the hotel building offer private bathrooms. Guestrooms include individual climate controls, but hallways do not. Amenities include phones, cable TV, complimentary wireless Internet access, and wake-up calls. Hair dryers are also provided in the hotel-building.